What made you decide to purchase a Shuly? Where did you hear of the brand? My friend worked for Shuly and a bunch of other wig companies and she told me that of all the wigs she’s sold, Shuly is one of the best. She took me to the store and I saw firsthand what amazing quality they are. What color is your Shuly? They had to do some work to the cap to make it fit my apparently oddly shaped head. Did you purchase it from the Shuly salon or from a sheitel macher? I bought it through my friend who is a sheitel macher but we went to the Shuly salon when I tried on sheitels. If from a sheitel macher, how did their involvement in the sale help your overall kallah experience? 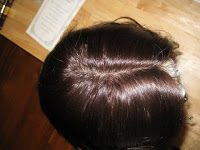 It helped me tremendously to narrow down from the vast choices to find a sheitel that was perfect for me. As a kallah, I needed someone to guide me since buying a first sheitel can be a daunting and overwhelming task. 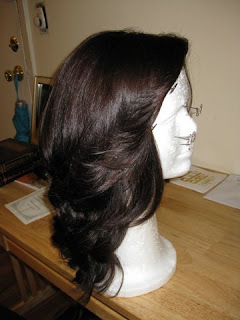 What is your favorite aspect of the sheitel? How natural it looks and feels, and how good it looks all the time, whether I’ve just washed & set it or not. What is your least favorite aspect ( or what could you change if you could)? 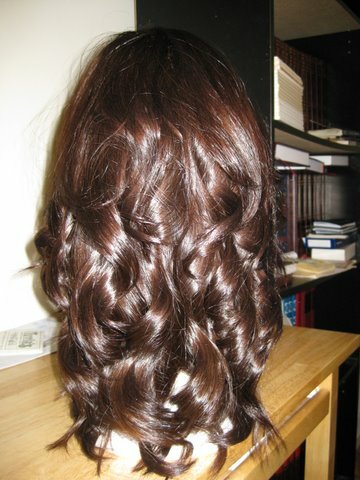 Finding a sheitel that looked as good on me as it did on the sheitel head in the store. It's one thing to see a sheitel all styled and perfect looking on the shelf but each person has a different shaped face and coloring and it can be a whole different story when you try it on. 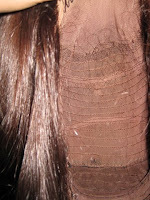 Not in general, but at the end of a long day there might be a few tangles near the neck which are easily brushed out. No way, I would never attempt to wash it myself unless I was 100% confident that I knew what I was doing (which I’m not- I’d rather pay a professional to wash it then risk damaging it myself). Great quality and I am very satisfied with it. How much did the Shuly wig cost?? The retail price was $2600. How was the Shuly/sheitel macher customer service? Would you buy a Shuly again? Yes absolutely, they are definitely pricey but if you can afford it, it’s totally worth the money. I’m happy with the cut.